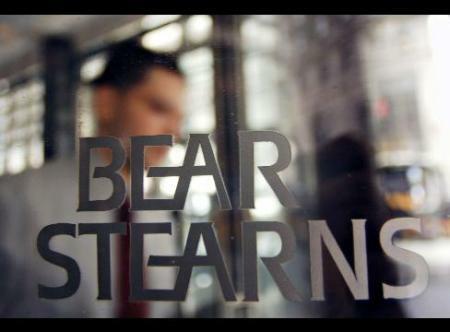 Over the weekend, it was revealed that Bear Stearns was in a heap of trouble. There has been quite a bit of speculating over the past few months of whether or not the economy was in the toilet. With this latest revelation, the argument could be made it just might be worse than people once thought. The issue comes down to, simply, that Bear Stearns, was lending money to people for homes who could simply not afford them. The reality of what happened with old Bear is that reality caught up with them. The issue of predatory lending and how Bear Stearns took a might fall is explained very well here in concise terms that are easy to understand. There will be fallout from JP Morgan’s buyout of Bear Stearns. There has been some public outrage this week that the federal government helped bail out a Wall Street firm but isn’t bailing out Main Street. With Alan Greenspan saying in the Financial Times that the country is headed into the worst financial crisis since WWII, it has to make a person think that things aren’t as rosy as they have been presented to the American public.